Some book seriess are really long and it gets difficult to know which is the proper order to read them. 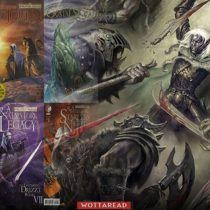 Sometimes there are prequels, other times the publishing dates makes are not in chronological order… all this makes us confused, wondering what is the best order to read certain saga. As a result, we may even give up trying to start reading new series. It’s time to stop that, if you want to know the proper reading order just check here! This category is pretty simple and straight forward. If you want to know the best order to read a certain saga just stay tuned. All who have read Dune will agree that the first volume is one of the best science fiction novels of all time. If you decided to start reading the Dune series I can only congratulate you. Because you will not regret. In this post, you will be able to check the proper reading order Frank Herbert’s appraised work. For those wondering what Dune is, do not worry, help is on the way. 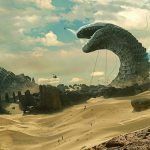 My article “Introducing Dune series” will tell you everything you need to know before the upcoming movie gets released. What? You didn’t know Dune is having a movie adaptation? check this post then for more info! 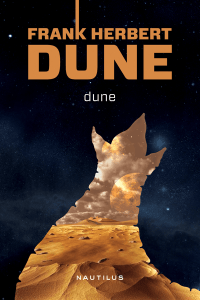 What is the proper reading order for Dune? 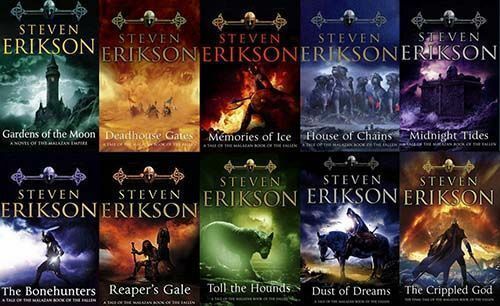 As it happens with other long series, there is a bit of controversy regarding the proper order to read this series. Some say it is best to read them in chronological order, meanwhile others think it is better to read them in published order… if you ask me, in this case, I think you should start reading this saga by the one book that made Dune series to be known as one of the best science fiction novels ever, that is, starting by the first book published: Dune. So, in my opinion, you should read first the original series. This is the story of Paul Atreides and the planet Arrakis, where the priceless spice named mélange, sometimes just called “the spice,” is grown. Even though it is usually said that Dune is a series of six novels, for me at least, it is more like a three-book original saga and a three-book sequel. I say this because centuries pass between the third book, Children of Dune, and the fourth, God Emperor of Dune, so I think think they should not be considered at the same level. Children of Dune. 416 pages. This would be like the basic pack, the must-read I would say. If you read these three books you will know how the story of Paul Atreides concludes. Of course, Dune keeps being alive after him. If you are willing for more Dune, and trust me you will, you have way more to read. Following to Children of Dune you have what I call the three-book sequel. Unfortunately, the latest book, Chapter House: Dune, ends with a cliffhanger and since the author died the next year after this book was published,1985, he left a lot of the plotlines unsettled. However, this matter was somehow resolved by the two next novels written by Brian Herbert, Frank Herbert’s older son, and Kevin J. Anderson (spin-off novel writer for Star Wars or Starcraft among others and also known for his work The Saga of Seven Suns). Please notice that, from now on, all the novels mentioned are not written by Frank Herbert but by his son and Kevin J. Anderson. While the first prequel happens just before the first Dune novel, this prequel narrates a story occurring thousands of years before. That would be all, there are also short stories but we will leave it there from now. 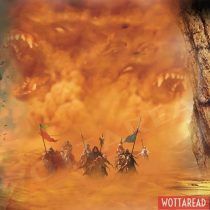 If you are willing for more Dune just leave a comment and I will provide you more info about the short stories! So, here is a summary for my suggested Dune read order. First of all, I recommend you read the original work by Frank Herbert, at least the first three books. After you have finished with all his original work you can read the sequels and lately Legends of Dune and its sequel. As a result, If you read all of these books you will become a Dune god and people will kneel to your divine presence. Hope this article helped you! 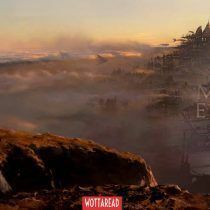 Either if you are here because of the Mortal Engines movie adaptation or because of my book suggestions for kids, or maybe none of those, and it’s just because you wanted to know more about the Peter jackson new movie, as they call it. No matter why you want to read Philip Reeve books. 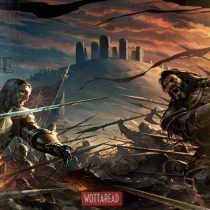 If you want to know how to read Mortal Engines series, here you will find the answer. This story is set in a post-apocalyptic universe and it’s part of the fantastic and adventure genre. This books audience was originally for young teenagers, even so you will enjoy this story no matter your age. In what order should I read Mortal Engines? In case you are considering the proper order for this series, I recommend you reading them in published order. 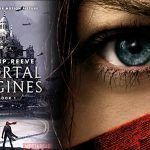 Mortal Engines consists of two sagas, the original series is a quartet while Fever Crumb is a trilogy. Fever Crumb is actually a prequel, but despite that, I advise you to read it after the original tetralogy since the prequel has a different tone.